When I was younger, I loved the challenge of sneaking around the house during the holidays to find my Christmas presents before Christmas Day. I like I think I was pretty good about it, too. I would sometimes find the already-wrapped boxes above the china cabinet or in my parents’ dresser. Once I located the packages, I would slowly peel back the tape, being careful not to rip the wrapping paper. Then I would peek at what was inside, and after seeing the picture on a box or a name in big, bold letters, my curiosity would be satisfied. I’d replace the tape, and no one would be the wiser. Or at least I thought so. Maybe I believed I was sneakier than I really was. One year, however, I went a little far. Well, ok, a lot far. At that time, what had just been released for the N64 was The Legend of Zelda: Ocarina of Time. I didn’t preorder it, so I didn’t get the cool gold cartridge, but I knew my mother had gotten me the game for Christmas. But who could wait that long? So I found the box, peeled back the gift wrapping on one end, sliced through the shrink wrap, opened the box, took out the game, and replaced it with another to ensure that the weight of the gift felt the same. I believe I used Body Harvest since I wasn’t playing that much at the time. I think I played the game for two weeks before Christmas, and as far as I know, no one noticed that I was playing a game that I wasn’t supposed to have yet. When I opened my gift on Christmas day, I showed a lot of gratitude, and when no one was looking, I put Body Harvest back in my collection of games and continued playing Ocarina of Time from my last save point. At some point, my family started double-wrapping my presents, which meant that I could no longer carefully peel back the tape and wrapping to see what I was going to get. I would just see more wrapping paper, and I wasn’t going to risk ripping it and giving away the fact that I had found the presents. 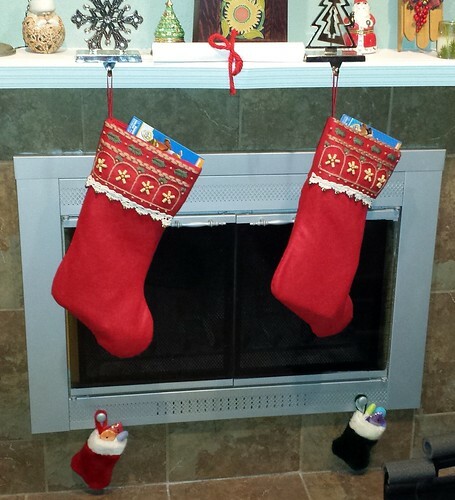 Today, my own home is preparing for the holiday. 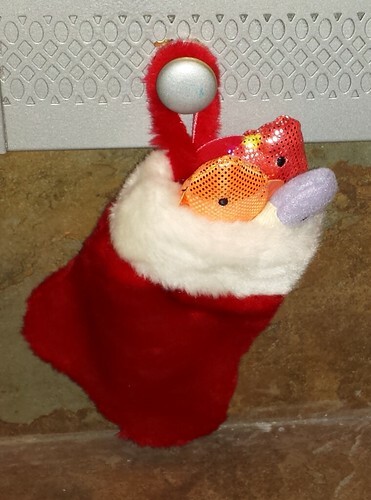 As of this writing, the stockings are stuffed, including the ones for the cats. Hopefully Diego and Gizmo don’t sneak a catnip toy before the morning. May you enjoy sharing tales with loved ones of the glories of Christmases long, long ago. Merry Christmas, and happy holidays! 1 comment to Merry Christmas! Ocarina of Time is worth whatever potential repercussions you might have faced.